Two first-inning runs were all the Texas Rangers needed to beat Clay Buchholz and the Red Sox 3-1 at Fenway Park on Thursday night. Texas plated two in the top of the first inning on a ground out by Mitch Moreland that drove in Shin-Soo Choo and Delino Deshields. Moreland hit a solo home run in the top of the fourth to make it 3-0. Boston got a run back in the bottom of the fourth on a David Ortiz RBI ground out that scored Mookie Betts (pictured). Buchholz went 7.1 innings, charged with three runs on five hits and a pair of walks; he struck out four in the loss. 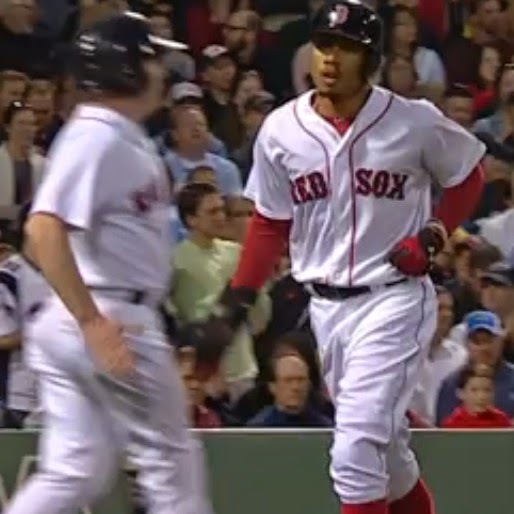 Xander Bogaerts had two hits for Boston. Through the first forty-one games of the season, the Red Sox have scored two runs or fewer seventeen times.